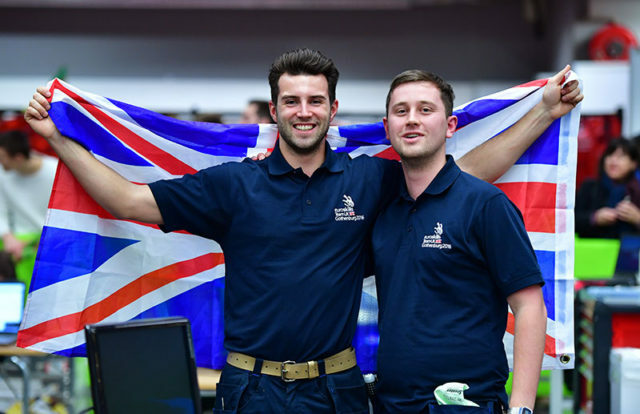 Team UK is bringing home two golds, one silver, two bronze and eight medallions of excellence from EuroSkills 2016 Gothenburg. The haul places Team UK ninth out of 28 in the overall medal table. 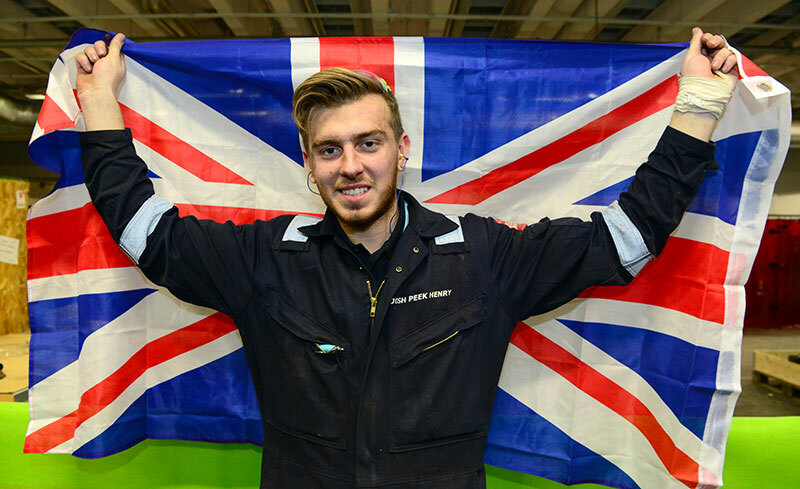 Landscape gardening duo Adam Ferguson, aged 20, and Will Burberry, 20, were joined by welder Josh Peek (pictured above), 20, in claiming the top prizes in this year’s skills competition. 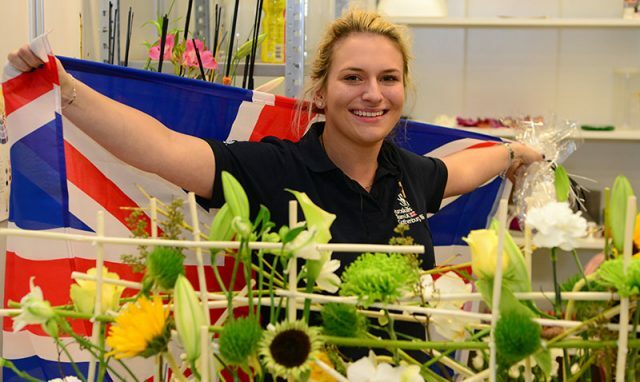 Their teammate Danielle Scandone was then awarded silver for her stunning floristry designs. 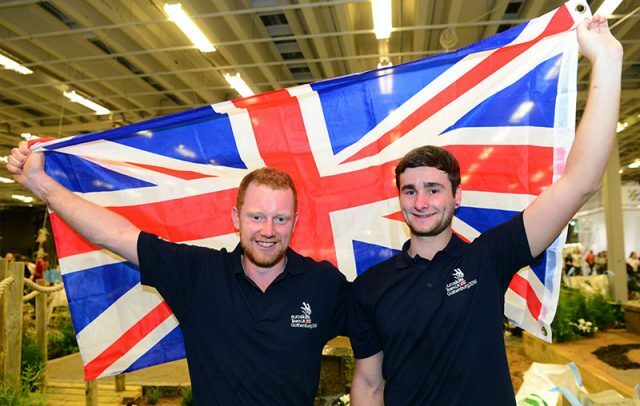 The 21-year-old, who trains at Merrist Wood College in Guildford, also took home the team’s ‘best of nation’ award for scoring the highest points out of the UK competitors. 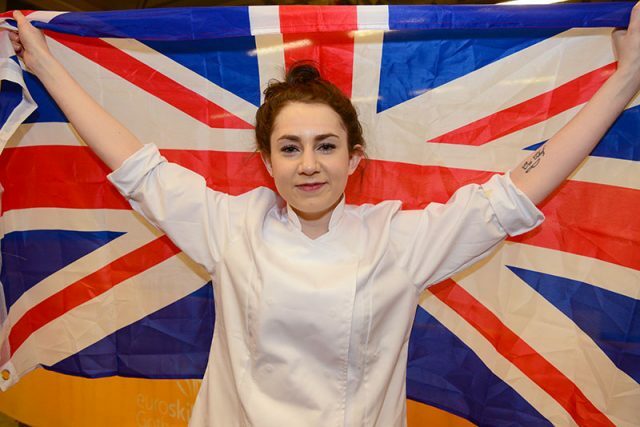 Bronze medals went to 21-year-old cooking competitor Ruth Hansom, who works at The Ritz Hotel in London, and mechatronics pair Sam Hillier, 23, and Thomas Revell, 24, who both work for Toyota Manufacturing UK. Eight other members from Team UK achieved a medallion of excellence for reaching the international standard in their skill. These included 21-year-old cabinet maker Angus Bruce-Gardner, from employer Waters & Acland, mechanical engineering CAD competitor Betsy Crosbie, 20, from New College Lanarkshire, 21-year-old Ethan Davies in CNC milling from Coleg Cambria, and bricklayer Josh Hunter, 20, from Hull College. Other Team UK members to claim the medallions were painting and decorator Jordan Jeffers, 21, from Southern Regional College, 21-year-old hairdresser Lucy Knight, who owns her own salon ‘Hair by Knight’ in Bristol, plumbing competitor Daniel Martins, 19, from employer Briggs and Forrester, and beauty therapist Isla McLarty, 19, from City of Glasgow College. The team’s celebrations actually started yesterday after 20-year-old 3D game designer Daniel McCabe bagged a gold medal. But his award is not counted in the final medal tally as it is classed as a presentation skill. Keep an eye out for FE Week’s full EuroSkills Gothenburg supplement Monday morning, sponsored by Smart Assessor. Awesome display of skills we should be very proud of all of their achievements and of the team behind the scenes who enable this to happen. Well done many congratulations to the whole team of competitors. Will they feature on TV breakfast perhaps?